Delicious homemade hazelnut milk flavored with maple, cinnamon, nutmeg & vanilla is perfect with coffee or espresso! Great for lazy weekends. Vegan. Happy Friday! 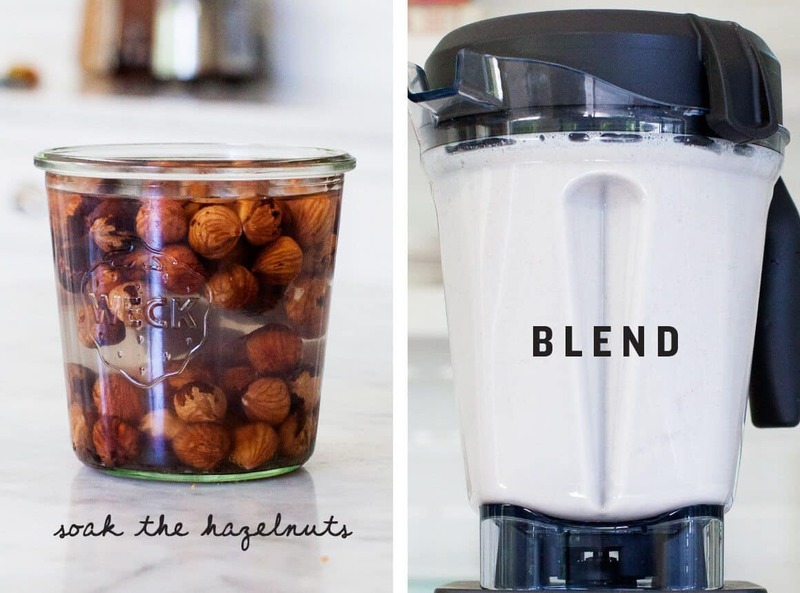 I have a fun little weekend project for you – take a few extra moments to make your own hazelnut milk! It’s so delicious, I promise it’s worth the effort. Actually, it requires very little effort, it just takes some planning ahead for the proper amount of soaking and chilling. The result is a delightfully lightly sweet & nutty milk that’s so yummy mixed with espresso or coffee. This time I made lattes with Nespresso’s Solelio & Giornio coffees which are light and medium in roast with red fruity & white floral notes respectively. These are absolutely perfect for lazy Sunday mornings. 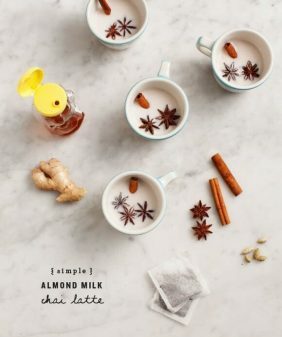 The hazelnut milk is lightly sweetened with maple syrup and gently spiced with vanilla, cinnamon and nutmeg. 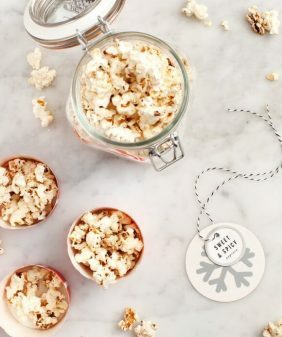 It’s quick to make – blend your (soaked and rinsed) hazelnuts with filtered water (and the rest of the ingredients), strain the liquid through a nut milk bag, and voila – “milk.” Bottle and chill it overnight for the best flavor. Jack and I have this ritual where whenever we stay at a hotel, the first thing we do is look for the Nespresso. We love that the coffee is really high quality and Jack always loves the selection. So we’re really excited to be partnering with them on their “See Mornings in a New Light” campaign. Making coffee and espresso (the same machine does both!) with the VerutoLine Evoluo machine made our weekend coffee ritual feel like we were back on vacation. I also used the Aeroccino4 to make froth (you can make hot or cold froth), which made my Sunday coffee all that much fancier. Jack and I usually spend our weekend mornings on the couch. This time, Jack snapped photos while Annie, our crazy little dog (who by the way is not allowed on the couch), told me all about her morning while she tried to get a lick of my coffee. One last thing I just found out about that I want to mention is that the coffee capsules are totally recyclable. They have a bunch of ways to do it (you can drop bags off at various stores or UPS locations, click here to search by zip code) and it makes me feel good that they thought of this. Drain and rinse the hazelnuts and add them to a blender with fresh filtered water, maple syrup, vanilla, cinnamon, nutmeg and salt. Blend until smooth, and then blend some more. About 1 minute, depending on your blender. Place a nut milk bag in a large bowl and pour the liquid from the blender into the bag. Twist and squeeze the bag to strain as much liquid through as you can. Pour the strained hazelnut milk into a 33 oz. jar and chill overnight. (I find that it’s flavor is much much better chilled vs. warm). Froth ¼ cup hazelnut milk, if desired. 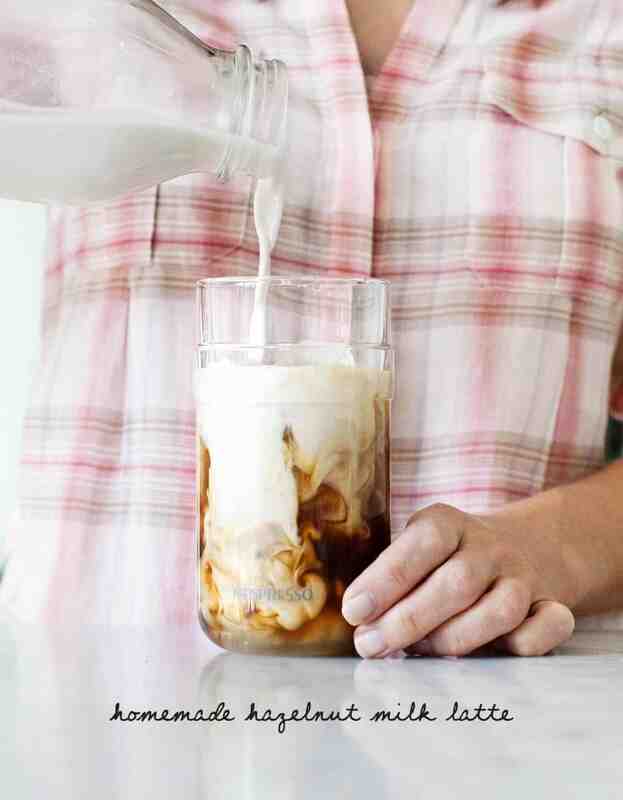 Pour over iced coffee and top with froth. *I use this vanilla, which has a wonderful mellow sweet flavor. I suggesting using good quality vanilla extract (or scrape the inside of a vanilla bean), because you will really taste it in this recipe. If you don’t have amazing vanilla, use 1 teaspoon instead of 2. This post is in partnership with Nespresso, all opinions are my own. Thank you for supporting the sponsors that keep us cooking. OMG this is perfect. For one thing, I’m a coffee nut, and hazelnut is my favorite. And it just turned hot here, so hot coffee isn’t as appealing. And in my corner of very rural France anyway, hazelnut coffee is unheard of. You have just solved several of my dilemmas in one swoop! I’ve never made hazelnut milk but I’m going to try now. How does the hazelnut milk turn out so white, when it includes the skins of the nuts, the maple syrup, the cinnamon and vanilla? It seems much too white to be real. Hi Chris – I thought the same thing at first (I was surprised it became so white) – but after it strains through the nut milk bag it turns really does white (b/c the skins mostly get strained out). The cinnamon and maple aren’t enough to affect the color. Is a nut milk bag necessary? Would cheesecloth accomplish the same thing? You know what I use? A French coffee press.Its what we had on hand when I wanted to try a homemade nut milk,but turns out it works just fine!! This sounds SO GOOD. I’ve been meaning to make a homemade hazelnut milk, and I don’t know why I never realized how easy it actually is. Thanks for sharing this! How long will this last in the refrigerator after making? I’ve never made nut milk, and this is the recipe I am going to start with! Also, any thoughts on making nut milk withOUT a Vitamix? I have a good blender, but it’s no Vitamix. Hi Angela, I would just blend it longer until it’s as smooth as your blender will make it. If you get the nut milk bag that will strain out what doesn’t blend. Hope that helps! I forgot to answer your other question – I keep it in the fridge around 1 week. I just don’t know that I have the patience to make this but I am feeling super inspired to try it! This looks so delicious! I can’t wait to try making hazelnut milk for my coffee. My favorite coffee shop uses it for their cold brew and it tastes amazing. I am super excited to try this! And your puppy is soooo cute! 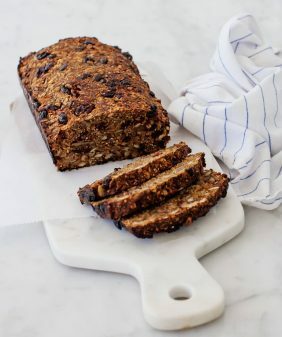 I have read your blogs for a very long time and loved every single recipe and probably downloaded them all. I am not a vegetarian, vegan or gluten free person; however, I love your way of cooking. SOOOOO I went to Barnes & Nobles today and purchased your book Love & Lemons: OMG this is the best cookbook I ever had. Every recipe is healthy and easy to duplicate.. Thank you so much for your time and effort for all of us.!!!!!!! Thank you!! This makes my day to hear :). I hope you continue to enjoy the book! This looks so delicious and fresh. I love lattes so learning better ways to make them at home is always appreciated. Thanks for sharing this. This sounds delicious! Also, your pink plaid shirt is so cute – any chance it’s still in a store somewhere and you could share the brand? Thanks! I’ve only ever made almond milk before, but vanilla hazelnut sounds mind blowing! This latte would be oh so good! 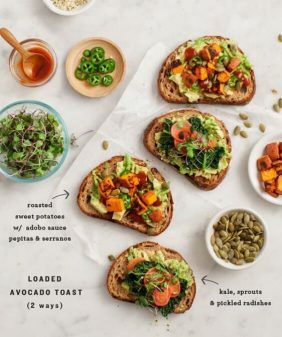 This looks super delish! 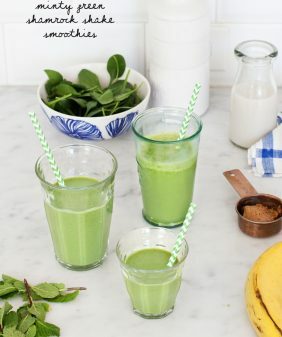 I’ve never attempted to make my own nut milk before, but this recipe makes me want to try it out. What’s the different between using a nut milk bag and using a cheesecloth? This looks so delicious! I can’t wait to try making almond and vanilla for my coffee , you’ve inspired me. My favorite coffee shop uses it for their cold brew and it tastes amazing .Thanks for sharing your delicious vanilla almond milk latte. This looks amazing! I look ve hazelnuts and will have to try it. I love your cooking and am hoping to win the cookbook! The recipe sounds mind blowing. Seeing this, is making me crave for this. Delicious! I just made this and it’s chilling’ in the fridge now. I had a warm glass fresh from the Vitamix before I said goodnight. I can’t wait for my morning Nespresso with this yummy nut milk and my Carrot Quinoa Oatmeal Breakfast Cookie 🙂 I’m sure to have sweet dreams tonight, Thank you!!!! I am looking a recipe for making nut milk, and this is the recipe I am going to start to making. Hope I can. Thanks for sharing with us. 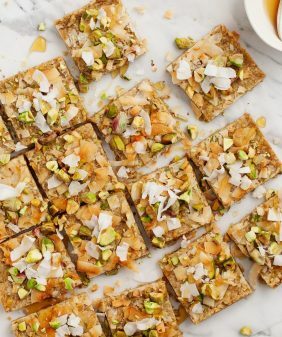 Can I use chopped hazelnuts to make this, or do they need to be whole? Thanks so much! This is SO good. So smooth and creamy and flavorful. Do you know approx. the calorie count for this recipe? Hi Erica, I’m so glad you loved it! I don’t count calories, but I also think this one would be hard to calculate since the hazelnut pulp gets strained out. WOW o_o I like hazelnut so much! !